Craig Campbell is the Principal of Verified Businesses, and offers a vast array of knowledge and skills for anyone selling their business to tap into, as an accomplished business professional who actually walks the talk. Craig’s experience in buying, improving and selling his own small businesses over the past 25 years is invaluable. Successfully running franchises, establishing new businesses and reinventing others has provided him with a unique skill set. That Cafe in the best location on the Coast!! I would highly recommend Craig Campbell as a broker in selling your business. I had tried brokers prior to Craig and most of them were unprofessional, never got back to you and had an attitude of they were all doing you a favour. 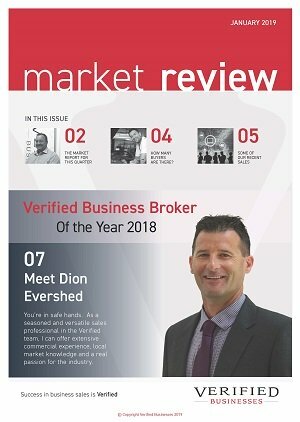 So it was a relief to find a professional broker who put together a solid marketing strategy and memorandum that lead to the sale of my business. He has integrity and would always keep you in the loop. He only brought through serious buyers and would always attend with them. The office staff are also very helpful and pleasant to deal with. Craig and his team made it happen.